This growing package contains a large selection of multidisciplinary eBook titles representing a broad range of academic subject matter, and is a strong complement for any academic collection. The breadth of information available through this package ensures that users will have access to information relevant to their research needs. More than 160,000 titles are provided. It covers many disciplines including Art, Business and economics, Education, Language arts and discipline, Literary criticism, Medical, Performing arts, Philosophy, Poetry, Political science, Religion, Social science, Technology and engineering. To check it, please Click here. JSTOR offers more than 50,000 ebooks from renowned scholarly publishers, integrated with journals and primary sources on JSTOR’s easy-to-use platform. Books at JSTOR offers subject collections that support academic research in core disciplines. The first sets for 2015 are now available through these disciplines [Business & Economics- Film Studies – History – Language & Literature – Philosophy – Political Science – Religion – Science & Technology – Sociology]. Publishes more than 200 books a year on a wide range of topics in science, engineering, and medicine, providing authoritative information on important matters in science and health policy. It offers more than 5,000 titles in PDF format. All of these PDFs can be downloaded for free by the chapter or the entire book. Internet Archive is a non-profit digital library offering million of free universal access to books, software, movies & music, as well as 485 billion archived web pages. It includes 6,024,064 books in different languages in which 4,284,928 books are in English language. InTech is the publisher of one of the largest multidisciplinary open access collection of books covering the fields of Science, Technology and Medicine. 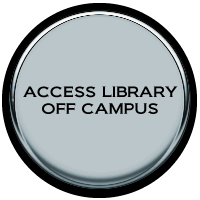 InTech has 2465 books and 39,580 open access book chapters in the collection. Currently the main subject area that is covered by InTech publications is mainly engineering with 1,206 books in physical sciences, engineering and technology, 326 books in life sciences, 762 books in health sciences and 40 books in social sciences and humanities. Project Gutenberg was the first provider of free electronic books, or eBooks that was invented eBooks in 1971. It offers over 49,000 free eBooks in many disciplines such as literature, science, social sciences and humanities. Alwaraq is an Arabic E-book library, that contains more than one thousand books, that form the Arabic heritage pillars, on different subjects such as poetry, literature , history, geography…etc. Google Books is a service from Google Inc. that searches the full text of books and magazines that Google has scanned. Books are provided either by publishers and authors, through the Google Books Partner Program, or by Google’s library partners, through the Library Project. The number of scanned book titles in Google Books is over 30 million as of April 2013. To check it according to your desired discipline, please Click here.